Christmas is just around the corner, so I thought it timely to share some recipes you might find helpful for inspiring or planning your Christmas menu. Today’s recipes are designed to help you enjoy the large number of people you might have visiting, without extra kitchen and food stress. Cause what’s the point of all that effort if it ends up owning you? Years ago, I watched my friend Bron make bacon and eggs much like the recipe below and since then my husband Steve has fiddled around with various ingredients when making them – he’s finally settled on this recipe, but also sometimes cut a disc of store-bought puff pastry and popped one in the bottom of each muffin hole – which ends up becoming something like a yummy little bacon and egg breakfast pie. Depending on your choice of eggs, this easy, portion-controlled breakfast for 12 will cost a little over $6 and take no more than 20 mins to make. 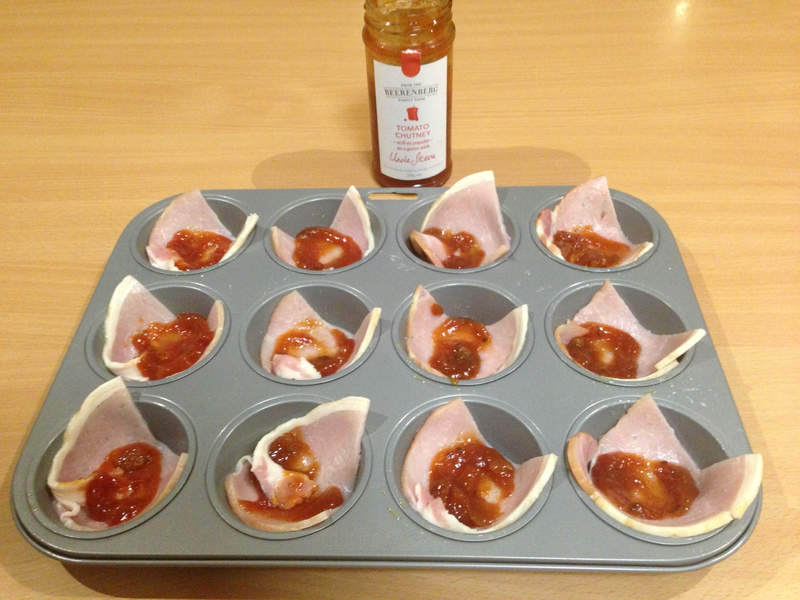 Preheat oven to 190 degrees, (180 if fan forced) and grease a 12 hole muffin tin very well using spray oil or melted butter. 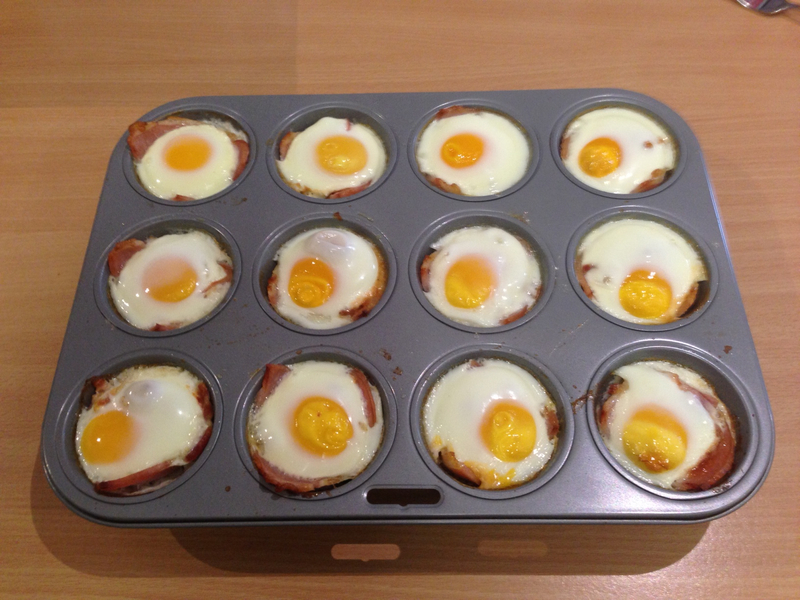 Cut bacon into thin strips or wedge shapes and distribute evenly across the bottom of the 12 muffin holes. 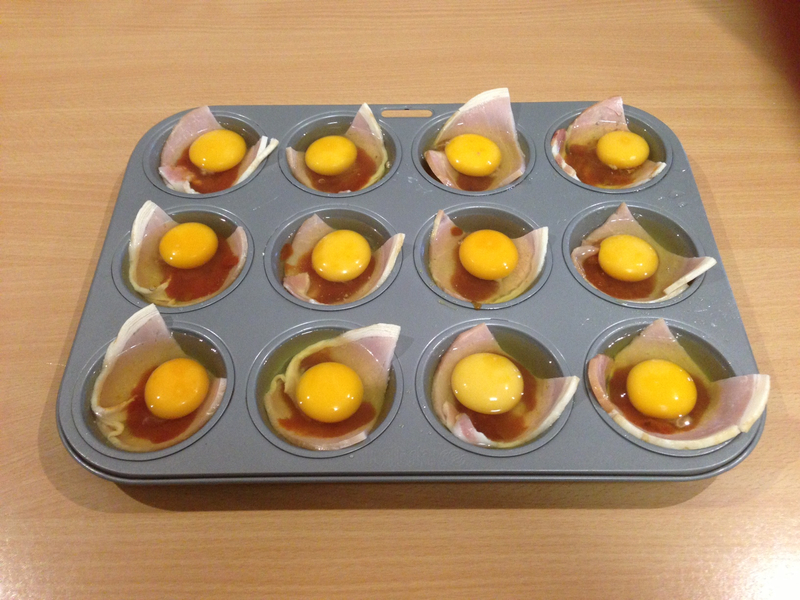 Put half a teaspoon of tomato chutney on top of the bacon and crack and egg on top of the lot in each muffin hole. Bake for approximately 15 minutes (but start checking earlier) and once cooked, immediately use a sharp knife around the edges of each portion to dislodge from the pan. Season with salt and pepper and enjoy.